Below You will find a list of our recommended activities in the area. You can get more information about them directly from the reception, from where You can also directly purchase for example steam ship cruise tickets! You can also add the wanted activity directly to Your shopping cart, such as a lovely picnic basket or traditional peat treatment with a local folklore inspired massage. The Northern most Manor House in Finland and the beautiful Kainuu nature are calling for ones looking for a break from everything! You can fill in Your trip by purchasing cruise tickets to the oldest inland steam cruise ship in the world with a glass of sparkling wine! The cruise lasts 2,5h and is available only in July leaving on the dock just below the Manor House on Wed, Thu, Fri & Sat at 19:00. Contact +358 10 230 5900 / info@karolineburg.fi or try Your luck directly at the reception! Karolineburg and its surroundings are at their most beautiful at Summer, so come and spend a night in our Manor House and enjoy the contents of a tasty picnic basket in our Manor garden! Picnic baskets need to be ordered in advance! If you have allergies, please inform about it during the booking. Call +358 10 230 5900 to book in advance! 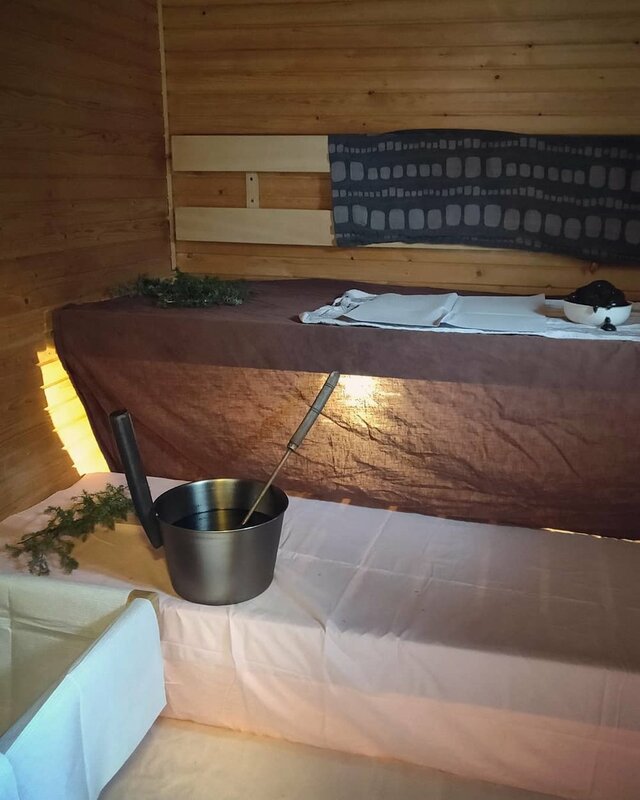 Come and enjoy an exclusive peat treatment and Kalevala-inspired massage with your better half or friend! Let the warm peat mask relax and deep heat your muscles and remove body toxins and increase your metabolism. Pamper your mind and body with natural and traditional folklore methods at the historic Manor House Karolineburg. Bookings 14 days in advance, available during day-time! Contact +358 10 230 5900 / info@karolineburg.fi to book in advance! Golf next to lake Oulujärvi in Paltamo! Karolineburg and its surroundings are at their most beautiful at Summer, as is one of the best Golf fields in Finland, Paltamo Golf. Spend a night in Finland’s northernmost Manor House and play golf on a beautiful green field next to the 4th biggest lake in Finland, lake Oulujärvi. The golf field is a full 18 tee course designed by Californian golf architect Ronald W. Fream. If You’re staying with us, You can purchase Your green fee ticket at our reception for a discounted price! Arrival Surprise: chocolates, roses & sparkling! Welcome to enjoy a romantic atmosphere with your better half! This package offers a wonderful surprise to your significant other, when it feels like you need a small break form everything and just relaxing between the two of you.